While the world wonders about President Trump, 54 years ago, a US President was murdered in broad daylight in Dallas, Texas; John Fitzgerald Kennedy – the only Irish Catholic President, and possibly one of the only US Presidents that was not a Freemason. To this day, the facts surrounding this event remain clouded. The ‘official’ Warren Commission report presents fanciful theories about a “Magic Bullet” that was able to go in and out of JFK’s body multiple times, and other wild fantasies. But this official report is ‘official’ and any other explanation of the events of that day are ‘conspiracy theories.’ As time has passed, and secondary information surfaces, there are indications of the true power of the information that was kept secret for so long. Sometimes we need to take a step back and gain some perspective. As we explain in our book Splitting Pennies – the world isn’t always as it seems at first glance. What’s happening now, is much a result of what was planned and started 50, 60, and 70 years ago by a previous generation. Modern history and especially regarding USA really should be looked at since @ 1950, at the wind up of World War 2. And, the most significant element in global society, is quite possibly the first form of Artificial Intelligence: The Machine. The Machine, as referenced by Eisenhower on his farewell address as the "Military Industrial Complex" and later referenced by Pink Floyd as simply "The Machine" – is a form of AI that is very dangerous for the survival of mankind itself, let alone the waste of economic resources and others. Economically, looking at the military, it would seem that there really is an Alien conspiracy controlling powerful countries because the Military only destroys, it doesn’t create. This battle between The Machine and "The People" you can say took hold in America in the 50’s and peaked in the 60’s during the civil rights movement. 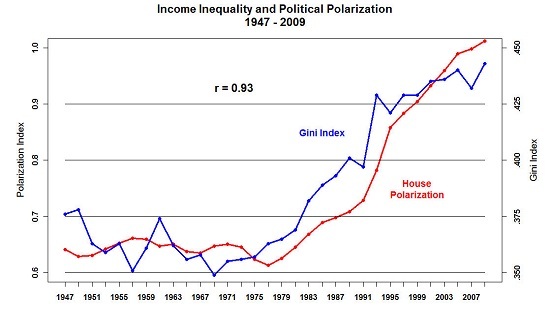 Sides were formed, society was polarized. Common interests aligned themselves. Big business sided with The Machine as they saw new opportunities for profit and consumer control. The CIA is under pressure from a lot of individuals and groups that question the agency’s relevance in today’s world, even Jack Ma dropped the comment at Davos that $14 Trillion was ‘wasted’ on wars over the years. As we explain in Splitting Pennies – Understanding Forex – The CIA has been a currency manipulator and agency-employee for the banks, since inception. Now, we have the evidence. Due to overwhelming public pressure, the CIA released 13 Million files online which are more than 25 years old, you can search this treasure trove here: Access CIA Crest archive by clicking here. This entire document can be seen here in PDF. Although the operation here seems benign, the controlling of a client-state assets can be key in acheiving whatever goals set out, whether intelligence goals or economic ones. This long slide was a no-brainer trade of a lifetime. A blind bat with no wings could have flown through this tunnel. Once it was clear that Trump was going to implement a pro-USD policy one way or another (after the election) the USD strengthened against all pairs but most notably against the Japanese Yen . Note that, this chart represents the JPY going down, not up, as you would see in a USD/JPY chart which is quoted in the reverse. Stock traders can trade FX in their stock accounts through ETFs. The downside, is that you don’t get leverage. The huge upside though – huge options! There are many deep out of the money options to play such an event. So what will happen to Guggenheim CurrencyShares Japanese Yen (FXY) now? Probably, a short reversal maybe back to 87 Max, and then a continued slide down to historic levels. That’s because FX markets haven’t priced in ‘The Trump Effect’ completely yet. Now that Putin has officially communicated with Trump in typical elegant communique fashion (contrary to popular belief, Putin’s role in Russia is more of international statesman than domestic dictator), the anti-Russian propaganda machine is in overdrive, re-tasking all available resources for this one purpose: drive a wedge as deep as possible in the new power paradigm coming to DC by maxing out on the existing percentage of controlled zombie consumers that can be remotely manipulated via TV & internet media. The coup failed, which should be a shame for the CIA considering the amount of successful coups that have been engineered in foreign countries, but now it’s time to maximize the ground taken, even if small, in the war for minds that has been established as a base foothold (they read Sun Tzu, too). It’s time for the establishment to retreat into their bunkers and behind their defense lines; for soon they will lose their power in the richest most powerful country in the world. Anyone who has ever been to Russia, that is – outside of a 5 star hotel in Moscow which isn’t any different than a 5 star hotel anywhere else – you don’t need to read an article like this to agree, that Russia is a 3rd world country, or debate about how big their missiles are. Being a 3rd world country isn’t a bad thing. And of all the third world, Russia is the fastest growing. Remember, Russia was born in 1990, and is a capitalist market economy. Russia has grown by huge leaps and bounds in the past 25 years. But they lack the cultural background to make the switch to a fully market economy. What does that mean – in other words? There is a mentality that was programmed into their brains, during the Soviet Union, that still lives in Russia and with that mentality, having anything but the Soviet system is difficult or impossible. The new generation of iphones and consumerism, albeit vulgar, will have better chances at adapting to a global market economy which is what Russia hopes to be. Seems yall didn’t quite get the gist of our series – and why it should even be bothered to appear. Well, a few reasons. One, not everyone has the means of investing in ‘decent’ strategies that may only be eligible for accredited investors or QEPs. Two, those who don’t have the means to invest in $1 M minimum programs also don’t have the means of educating themselves to the level that they can do it themselves successfully. Three, this analysis can shift your thinking and help improve your existing investing strategy. Rednecks survive on inspiration as well as perspiration (although, most don’t shower daily). Soros has backed the blacks; they now have a voice, and they have funding. Who speaks for bubba? Let’s Git-R-Dun! WARNING- IF THESE SUGGESTIONS BORDER ON THE QUASI LEGAL, POTENTIALLY UNETHICAL- NOTE THAT THEY ARE FOR ENTERTAINMENT PUPOSES ONLY. KIDS, DON’T TRY THIS AT HOME. PARENTS, DON’T TRY THIS AT WORK! The class action industry produces thousands of settlements each year. Many of them are consumer settlements. And many consumers don’t even know about claims they may be entitled to. Every case is different, but in almost all cases only a small fraction of potential claimants register with the settlement administrator. Legally, once a settlement is reached, funds must be distributed to injured consumers by a certain date. While America avoided having another Redneck (or in honor of Bill Clinton should we say ‘HillBilly’ ) in the White House, there’s big Redneck karma for America as millions of Rednecks went out and voted for Trump, many of whom never voted before in their lives, many of whom can’t read. Certainly this didn’t alone get Trump elected, but it didn’t hurt. And they sho feel praud! With a Trump president and a Republican President second, the government will generally cut back on entitlement programs. Rednecks shouldn’t be worried about this, it’s just time to get creative! Study this guide, you’ll need it to invest if you don’t meet the ECP requirements to qualify for any decent managed investments. As we explain in our book Splitting Pennies – in the case of Forex, rules have made investing in Forex strategies that never lose and other good strategies, nearly impossible for the average investor (try, $5 Million minimums). Troll for freebies, giveaways, free product samples, free books, free ebooks, free money! There’s a number of places to start, such as a site like this that lists places you can simply get stuff for free: www.pleaseorderit. $20 or some odd Trillion (who needs to count, at such levels) inflates markets, inflates prices of consumer goods, it pushes the value of the US Dollar down. All of these effects are plainly obvious, you don’t need a degree in high finance to understand this. But, through a complicated system of ‘programming’ – they have somehow blinded people into believing what they see on TV, and questioning things which are not on TV, as some sort of ‘internet conspiracy. The war on intelligence is in full swing. It’s game time. They’ve been planning this for years. As we explain in Splitting Pennies, the world isn’t as it seems, in fact – the world is a great big illusion to many. In case you’re not following this trend, since the 1980’s the Elite in America have invested heavily in what one expert calls the "Dumbing Down" of Americans, basically, a coordinated effort to make Americans stupid. To get the gist of this program, you’ll want to checkout this book The Deliberate Dumbing Down of America. It lays the groundwork for what decades later will become full scale intelligence warfare – it’s the war for your mind. You see, the Elite, as rich and powerful as they are – they don’t force anyone to do anything, physically. There’s this pesky thing now, called "FREE WILL" and sadly, few choose to follow this (they prefer, to do what is told to them on TV, or have their opinions formed for them). Being covered here on Zero Hedge in an unprecedented fashion, never before have we seen the inner workings of how the Elite manipulate elections in America. During previous presidential elections, there wasn’t such internet penetration. Also, the majority of people now carry smartphones, able to capture odd moments, or record ‘secret’ conversations, like this election official admitting to busing voters around to vote again and again. Even TRUMP supporters don’t know the answer to this question – because Trump never explicitly said it. Maybe Trump doesn’t understand Fed policy. He is sure of himself that he understands debt. Maybe he does know – but also knows that the people don’t know so it’s pointless to talk about it. Whatever is the case – we don’t know where Trump stands on the one issue that will determine America’s economic fate one way or another – Fed policy. Will the Fed continue Quantitative Easing? Will radical Fed policies clean up a junk filled economy (for example, by raising rates to 10%) ? Will Trump nationalize the Fed? (Maybe – that’s what the Elite are worried about!) – Let’s make one thing perfectly clear. Warning to investors – traditional markets are flawed. In one of many hypothetical futures, not so far in the future, FX may be the only game in town. As we explain in Splitting Pennies – Understanding Forex – it’s FX that drives the world, not stocks, bonds, commodities, or real estate. Let’s take a quick look at some of the cracks in traditional markets. Some of the biggest electronic traders are complaining that a new test in the U.S. stock market will compromise their top-secret strategies, one of their most valuable assets. Citadel Securities and KCG Holdings Inc. are among a chorus of brokers questioning elements of a U.S. Securities and Exchange Commission experiment, which began Monday, designed to whip up more trading in small companies. Their complaint is that the test will force firms to publicly expose detailed trading data with only the thinnest veil of anonymity, allowing competitors to reverse engineer how their prized trading algorithms work. 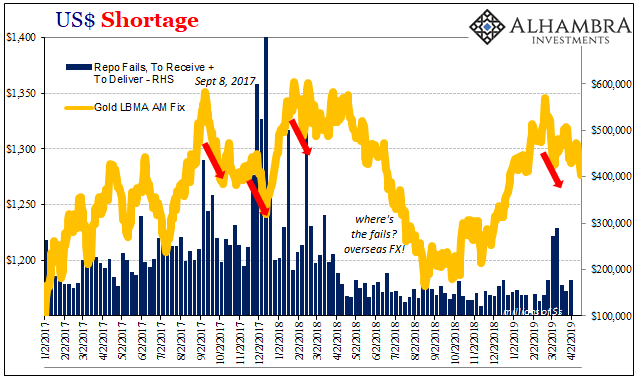 It isn’t often such a clear market signal is painted such as the impending real estate market collapse. It doesn’t take sophistocated algorithms or an MBA from Harvard to add up the math and the data and see that we’re on the precipice of a historic real estate asset cliff; and that the market is waiting for an ‘event’ to tip it over. That event, it can be Hurricane Matthew. That means this can all unfold THIS WEEK. For those of us who have been following this trend for a long time (like, more than 10 years) this isn’t news, it’s just the obvious result of bad planning and decades of building a foundation on the wrong things (this is an educational metaphor – Real Estate Investors built their knowledge on the wrong ideals, the false axioms, and thus – invested in the wrong markets, on markets build on soft, unstable foundations…). As we explain in Splitting Pennies – Understanding Forex; the entire world’s economy, both micro and macro, can be explained through the prism of monetary policy. Or in other words, if you master FOREX, you can master any market, because all markets are denominated in Forex. Or in yet other words, markets are only able to function as a derivative of money markets – which Forex is. 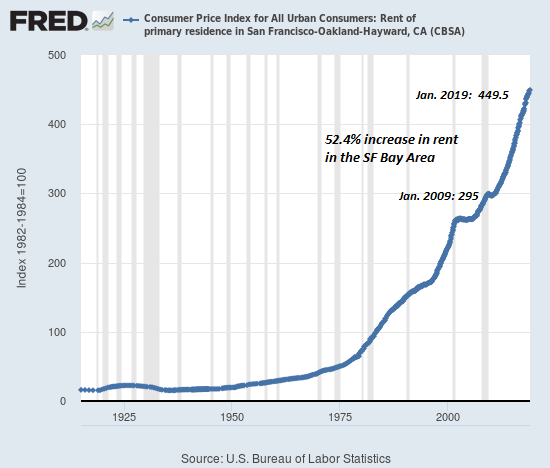 Bubbles have persisted for years, but this last bubble that caused the 2008 crisis was based on real estate. Sometimes the best economic analysis comes anecdotally. Why not explain the most important economic issue of our day with America’s favorite food: PIZZA. As we explain in our book Splitting Pennies – Understanding Forex, the real reason of inflation is because of monetary policy, not supply and demand. Like football, pop music, and democracy itself, pizza follows in the long American tradition of things that began overseas before the United States imported, violently altered, and eventually defined the institution. Although the first pizza shops didn’t open in the U.S. until the early 20th century, hundreds of years after the original Neapolitan pies, we now spend $37 billion a year on pizza, accounting for a third of the global market. The obsession deepens. On any given day, about 13 percent of Americans eat pizza, according to a new report from the Department of Agriculture. One in six guys between the ages of two and 39 ate it for breakfast, lunch, or dinner today. In part due to this obsession, per capita consumption of cheese is up 41 percent since 1995. Forty-eight percent of nonfinancial companies listed on U.S. stock exchanges remained exposed to volatility in foreign exchange rates, commodity prices and interest rates in 2012 because they did not hedge them, according to a new study by Chatham Financial. The interest-rate and currency risk adviser studied a sample of 1,075 companies ranging from $500 million to $20 billion in revenue. The nearly half that did not use financial instruments to hedge their exposures demurred despite the threat the risks posed to both the balance sheets and reported earnings (see chart at bottom). “That was surprising, knowing the pressure senior management teams and treasury feel around identifying ways to reduce risk to factors within their control so business can focus on other areas,”Amol Dhargalkar, managing director for corporate advisory at Chatham, says. Companies that do business outside of the USA have substantial forex exposure. Well, it finally happened. Mark your calendars for the year 2016 as ‘the year’ a real One World Currency has been announced. But don’t worry – as we explain in Splitting Pennies – Understanding Forex – MONEY DOESN’T EXIST. UBS, Deutsche Bank, Santander and BNY Mellon have partnered up to create a new digital currency to facilitate intra-bank settlements, the FT reports. The cryptocurrency will use blockchain technology underpinning the Bitcoin. Why is this different than any other Bitcoin startup – there sure have been many. Because these are the banks that control the global currency market, also known as AKA ‘the cartel’ according to court documents. So why does any of this matter? 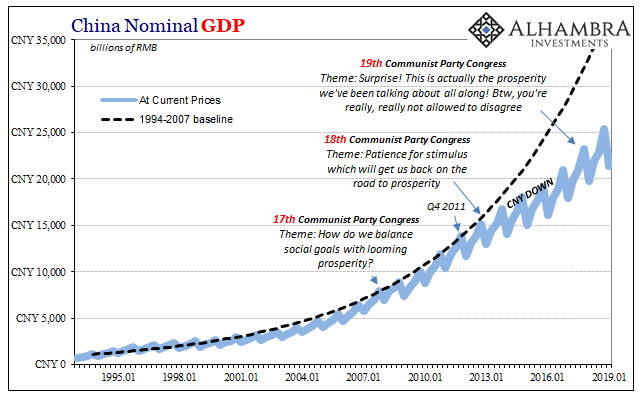 Central Banking policy has run the global economy into the ground. The world is not as it seems. But that doesn’t mean that anything you find on the ‘internets’ is ‘real.’ As we explain in Splitting Pennies – Understanding Forex; the Elite manipulates information to their advantage. While the internet has opened up access to information to basically everyone with a connection, also comes with it a unique opportunity for the Elite to spread propoganda. Before digging into the nuances of market manipulation, let’s examine some FACTS. The DOD (Department of Defense) is the largest single employer in the world, at 3.2 Million. As a percentage of any large corporation, some of their funding goes into marketing. But, after World War 2, think tanks advised the DOD to change its name from the "Department of War" to the "Department of Defense" – this is today common corporate branding advice. War has so many bad connotations (like killing, destroying, maming, polluting, etc. ); defense is so much more noble. The DOD is defending the homeland from invaders (although, no one ever ‘invaded’ the United States except the Canadians once, but DOD isn’t drafting any plans to invade Canada). Due to recent revelations, this is no longer ‘conspiracy theory’ it’s a public fact. US lawmakers dropped a nuclear bomb on the Forex industry called "Dodd-Frank" which implemented a series of rules and regulations that killed all life in the budding Forex industry, in USA. We explain this is detail in Splitting Pennies – Understanding Forex; the rules are widely misunderstood, and widely catastrophic for trading Forex. You can read more about this massive legislation here, in summary. Whether you know it or not, everyone is a Forex investor. As we explain in Splitting Pennies – Understanding Forex – just by going grocery shopping, you’re trading Forex. If you use US Dollars, you are trading Forex. If you have a savings account based in US Dollars, you are investing in Forex. Brexit was a great example of FX being in focus, but there are many. Every week there’s an FX event, whether it be a coup or failed coup in Turkey, an NFP surprise, or cheif traders being arrested at JFK airport. ANY global event is an FX event, ANY market event is an FX event, but NOT ALL market events are FX events. FX is the superset of markets. Remember, stocks are settled in US Dollars. That’s changing, with all the Bitcoin and blockchain proposals, but we’re still years if not decades away from signficiant paradigm shift in that regard. Investors are starting to take note of FX. Forex is becoming part of a mainstream discussion on Wall St., although behind the scenes. This is happening in parallel with a restructuring of the market dyamics on a technical level. It seems that such events are always planned for the weekend. News of the attempted Turkish coup reached FX investors just hours before the close. Just as FX traders were worried about not having another Brexit moment for a few more years, only weeks later here’s another. But this time it happened just before Friday’s close at 5pm NYT so we’ll see how the market opens Sunday night. EUR/USD sold off on the news as well, but only reached its channel lows. The U.S. dollar gained as much as 5.5 percent against the Turkish lira after a group within Turkey’s military apparently attempted to overthrow the government on Friday. It seems this FX event is a sign, that Europe is going to be full of "Brexit" moments in the coming years, and that FX is going to be the market defining this next epoch of investing. For those who don’t understand Forex, the above chart represents the US Dollar against the Turkish Lira, that means when you see a spike UP, it means US Dollar going UP and Turkish Lira going DOWN. So, here’s another boost to the good ol’ USD, who is now being accused of the coup itself. FX traders patiently wait for markets to open, 24 hours from now. Money doesn’t exist – as we explain in Splitting Pennies. Money is an idea, an abstraction – a belief system. A dogma. So is a country. In fact, a country IS a currency. EU nations have given up their sovereignty to join the Euro (and we see how well that’s working out for them). Brexit made a lot of money for FX traders, but planted a seed in the masses that change is possible (we’ll see, if the British government actually goes through with Brexit..) Countries are born, and die. As far as countries go, the United States of America (USA) is actually one of the world’s oldest countries. Actually there’s only a small handful of older countries, such as San Marino (1600), Vatican City (1274), and the United Kingdom (1707). USA changed the global political landscape in many ways, especially during the 20th century – not only directly (through invasive foreign policy) but by example. USA was one of the first ‘superstates’ – now such superstates are common (the EU being one). USA was the first country to detach from cultural or ethnic identity, Americans were a mix of Europeans and others. So, what has USA become – does Television define what USA is? No, it’s just a powerful control mechanism. Millions of Americans don’t watch TV. In fact, for the majority of residents in USA, they are completely oblivious to how the other 99% live. The stock market cap in the United States is about $22 Trillion. The amount of money in Managed Currency strategies is unknown, but it’s very small, even by CTA standards. According to data based on CTAs listed with Barclay Hedge, there’s about 19 Billion in Currency Strategies. That’s a lot of money, but not a drop in the bucket when compared with equities. And remember that although money in equities isn’t all ‘managed’ – all money in equities is an investment of some kind – because people don’t need equities like they need FX. To contrast it with FX, all money in FX is NOT managed, to the contrary – most money in FX is hedged, or transactional. FX as an asset class per se is a growth emerging asset class, and may be the ‘stock market’ of the 21st century, what the stock market was to the 20th century. But at the moment, the idea of investing in FX as an asset class – is just in its infancy. The more problems associated with stocks, the more that will change. And while the Fed’s been doing a great job propping the stock market, inflating assets artificially usually doesn’t end well. 1) No one has to buy a stock. Businesses need FX. There’s a huge difference. 2) Rich families, old money, always has FX in their portfolio. revealed Defendants’ agreement to illegally manipulate SIBOR and SOR. Defendants’ traders sought to manipulate both SIBOR and SOR. The common purpose of the enterprise was simple: profiteering. While most of the US population drowns in a prolonged semi-conscious state for several days, with moments of alertness (they’ll know they are alive when they see the fireworks) – the remaining force of human intelligence on the planet, spends time trying to figure out ways to break through this vast blanket of social control that’s been thrown over the population like a sticky net, which is slowly eating away at the global standard of living, overall quality, lowering human genetic value. Each day, our money is worth less and less. Why? We explain this in Splitting Pennies – Understanding Forex. The problem with much discussion on Zero Hedge and alternative media in general, is that it lacks a conclusion and proposed solution. 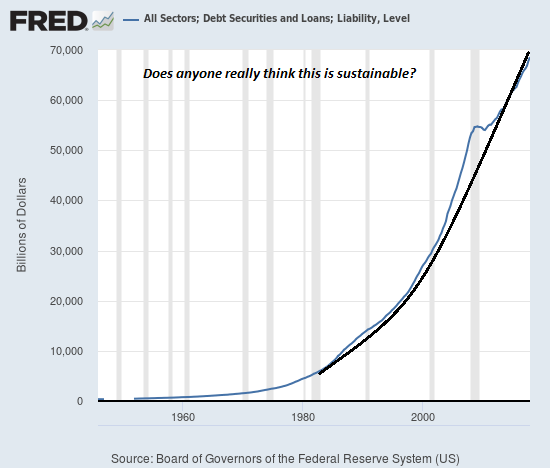 So, we mostly agree that the USD is toast, there’s an insurmountable debt that cannot be paid back (because in a debt-based money system, if the debt is paid off, money will cease to exist). Gold is the go to alternative to stocks & bonds which are mostly overrated – but then what? So let’s say Gold hit’s $50,000 USD per ounce. Then what? Well for one, be sure that you have some good security because in a crisis, the only real currency is accelerated lead, as elaborated here eloquently. 1) Market data is manipulated heavily.